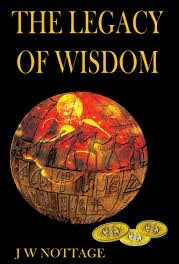 The plot is Dan Brown meets Indiana Jones meets Stargate meets the Bible via Denis Wheatley. The book possesses the readability of Wheatley along with similar two dimensional characters with the money and time to move all over the place at the drop of a hat despite holding down important jobs. Fortunately it avoids the nasty prejudices which are sadly so much a feature of Wheatley’s work. The central tragedy of this novel is that much of the archaeological episodes are set in Syria – a country now buried deep within a violent, destructive and homicidal civil war. This leaves a certain sense of tragedy and loss right in the centre of this story which is not the fault of the writer who clearly appreciates the many different sects and cults that once populated that land. Let’s hope that in due time they will all rise again. I will admit to being no fan of ancient religious conspiracies, which makes me a poor reviewer for this work which postulates a Universal Power sitting on a Greater Council that includes all the Chosen Ones in the Universe. The supervisors of Earth within this structure are The Magi: to the uninitiated this means the Three Wise Men although the traditional names are not used. This is a sort of syndicalist theology which rightly goes out of its way to emphasise the collective as opposed to the individual. Yet it contains behavioural gems which are both agreeable and quite memorable. The story moves along briskly and once the reader is absorbed into the plot it can become an entertaining read. The story is about Dan Adams, one of these modern super-headteachers who, unbeknownst to himself is earmarked to become the next Master of Destiny, or head-lad on Earth to the Universal Power. 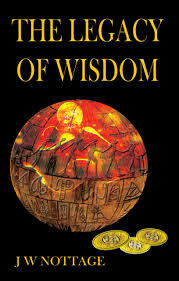 He is to supervise the Board of Destiny, the seven gold coins that make it work and read the Book of Eternal Wisdom. He is opposed in this unconscious endeavour by an organisation calling itself the Holy Trinity which is in all intents and purposes a coven of the rich and powerful run by the half-sister he doesn’t know exists. Then there is the strange Mr Perkins who appears at critical moments to provide support for our hero. Would that we all had our Mr Perkins. What I do not like about the plot is that it abuses the Essenes, an ascetic Jewish religious cult of Second Temple vintage who are presumed to be the writers of the Dead Sea Scrolls. These days the Essenes have become like the Cathars, the owners of some lost truth which has yet to be revealed, when in real terms they were religious contemplatives absorbed in the theological considerations of their day. Yet in almost the next breath the author argues `the financial collapse of 2008, an event planted years previously in the souls of those seeking to build empires on sand and sell things that didn’t exist’. A statement which carries more than a scintilla of truth within it. Then there are remarks about the unpredictable nature of free will. Now a lot has been written and argued about free will over the centuries and its presumed existence lies at the centre of Christian theology but does it really exist and possess a purpose? I love this sort of challenging remark as it forces the reader to think rather than just be entertained. Good bedtime reading, indeed. In this way the novel undoes itself when it is remarked that `ideas created with a sound basis bring about the alchemy of human progress but ideas based on a complex web of illusions will not reap rewards’. The tale is about a complex web of illusions, not quite as stale as those Mr Brown is wont to produce but if you think the world is run by lizards then this book will cheer you up. If you enjoy conspiracy theories then it is also for you. If, on the other hand, you are seeking some edgy entertainment then this book will not be a good investment.